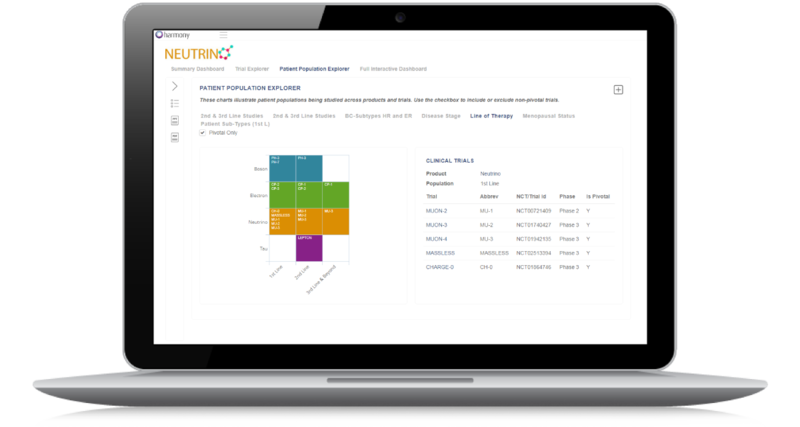 One system that stores, tracks, and visualizes all your trial data, by disease area. 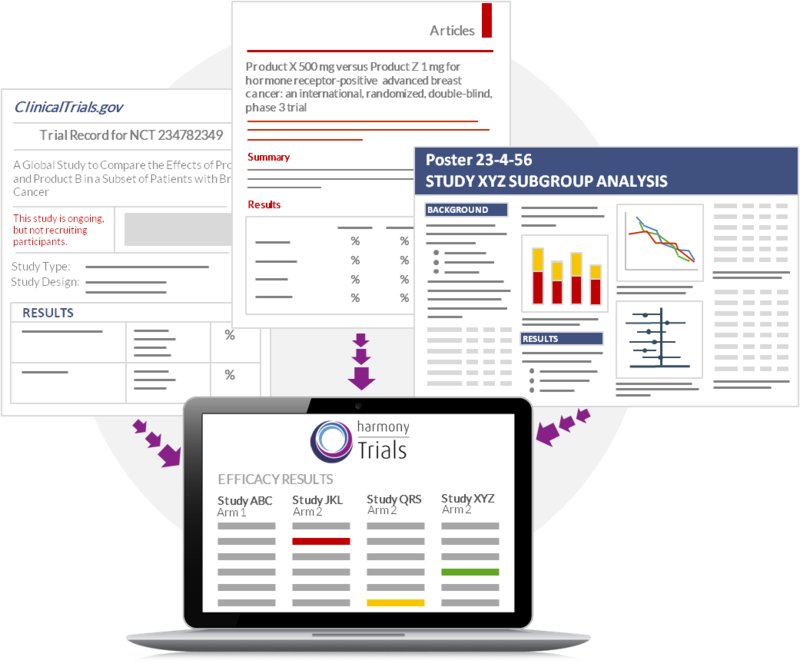 Our trial dashboards pull together trial data from proprietary, public, and unpublished sources so teams can analyze the data faster and easier. A dynamic, comprehensive, and customizable timeline that displays key data generation and regulatory events by product that is easily updated and maintained by end-users. 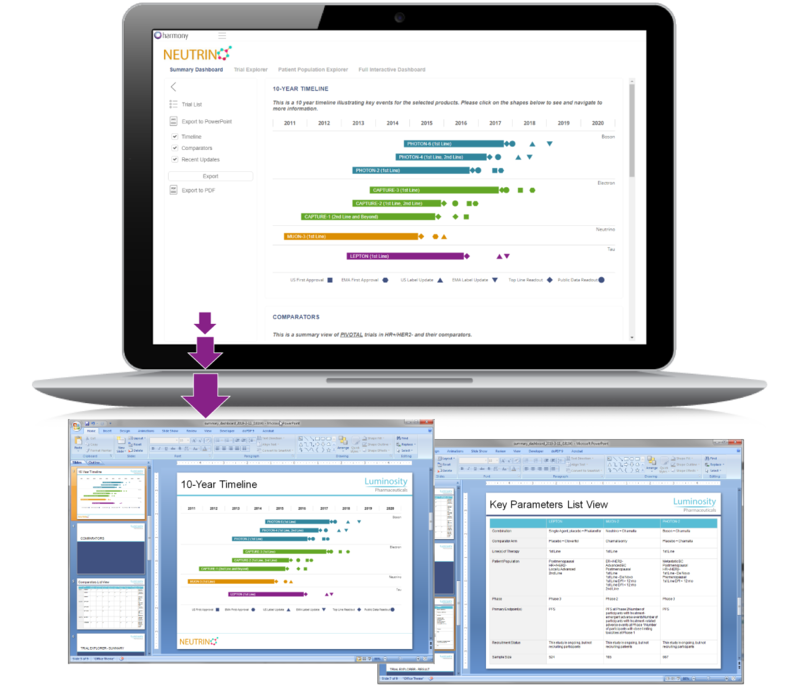 Direct data exports to MS PowerPoint for formal internal communications. 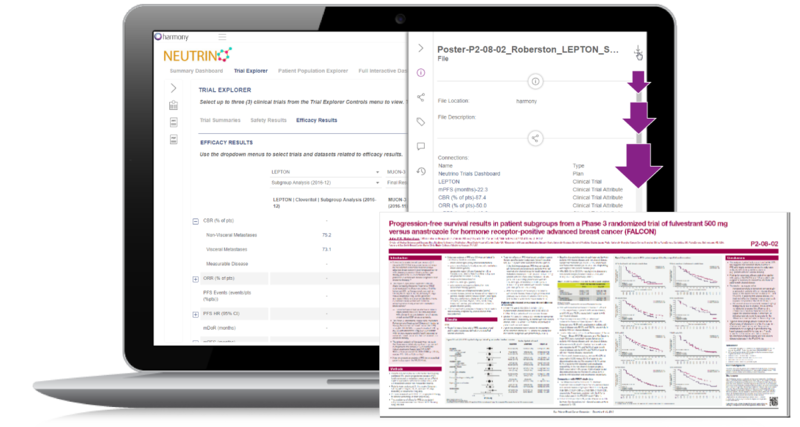 Timelines, patient populations, side-by-side data comparisons and more are exported based on your selections in presentation-ready, editable MS PowerPoint format. 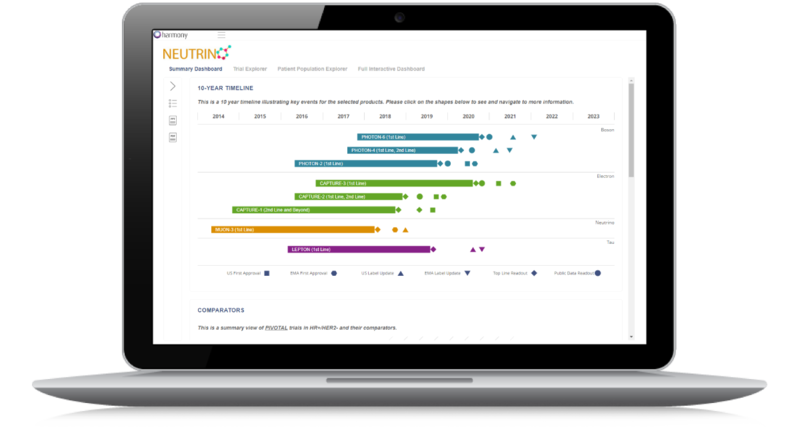 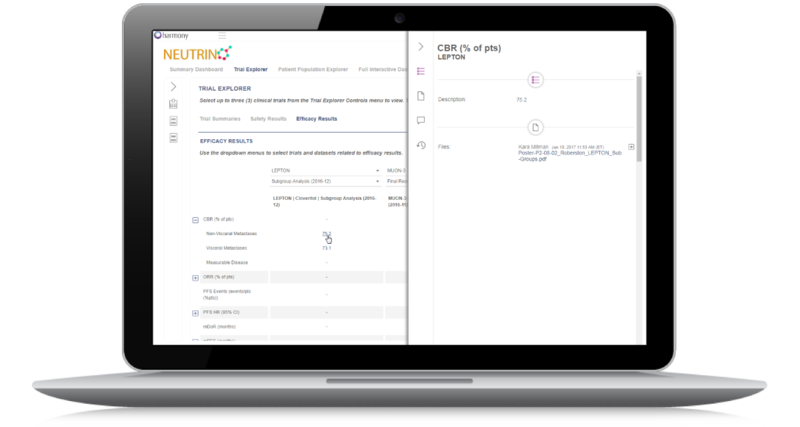 Custom views of trial distribution by product and additional parameters such as line-of-therapy, disease stage, genotypes, and other patient attributes. 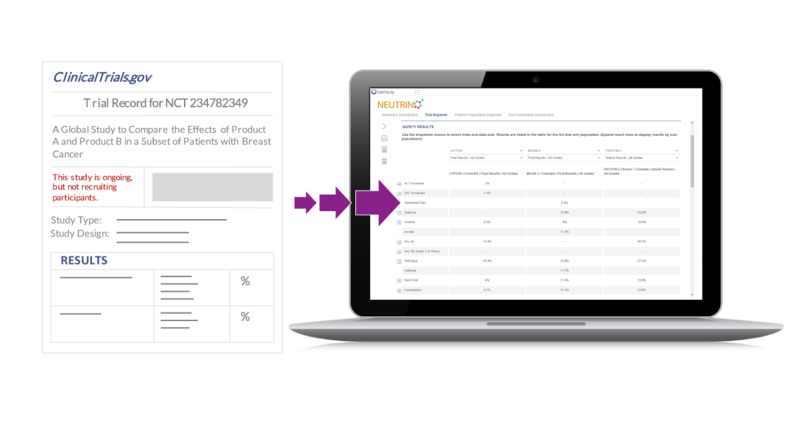 Easily create any number of saved charts to display patient population sub-groups by product! An interactive table that displays targeted patient populations and comparator trial-arms by product and trial. A repository for key files, news articles, and other reference materials related to products, with each file available for download to the users. The ability for team members to add comments, ask/answer questions, and upload files on individual data points. 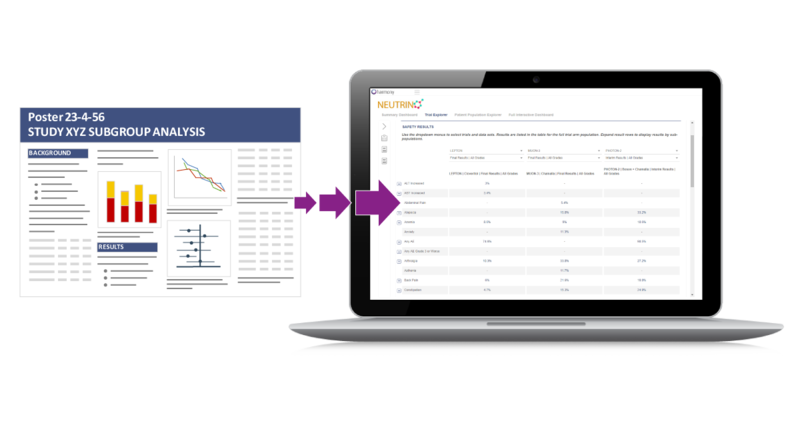 And record-level sourcing allows each and every data-point in the system to be directly tied to its primary data source, with the source file available for download to the users. 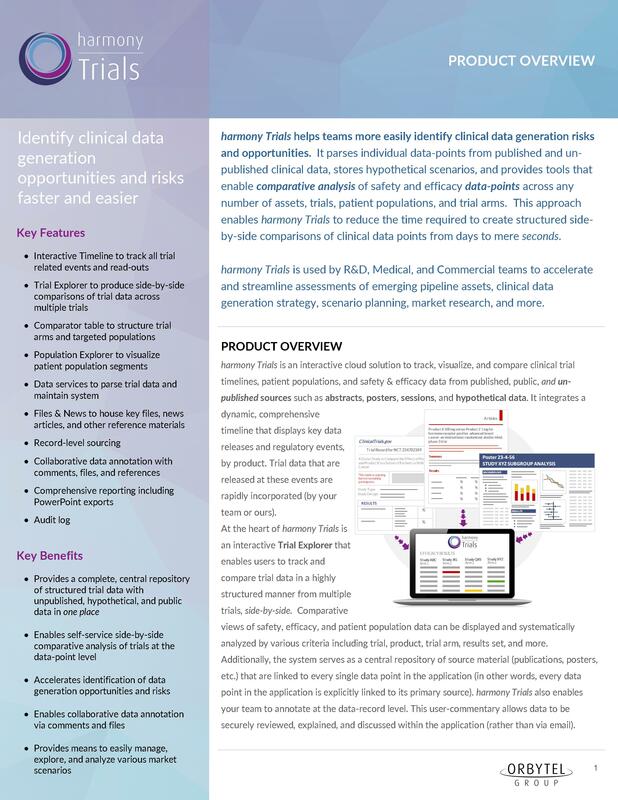 Comparative analysis can be conducted across trial parameters, patient characteristics, safety results, and efficacy results, to make recognizing data generation gaps and pivotal data results fast and easy for your analytical teams! Users can select any of the visual dashboard sections (Timeline, Comparator Table, Trial Explorer, and/or Population Explorer) to generate PDF reports or fully formatted PowerPoint slides on your company’s templates – in seconds! 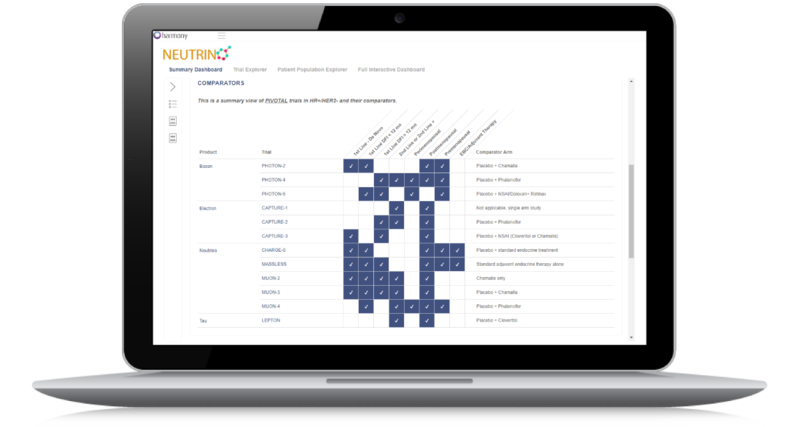 And, the commentary can be aggregated to make the analysis dynamic and collaborative! Clicking on any file source will allow the user to download the file directly to their computer – in seconds! Contact us to discuss your needs or see a live demo!